Committed to long term investments and relationships, Top Foods represents key international suppliers of consumer retail products with both branded and private label opportunities. Our goal is to develop partnerships with our global suppliers to help consumers across Australia and New Zealand experience authentic international product choices. Comfrut’s 20 years of experience in supplying retail pack fruits around the world has allowed them to boast excellent quality products with exceptional taste, colour, size and consistency. Comfrut provide continuous packaging innovation and technological investment, whilst supplying fruit from over 800 growers in Chile. Cofresh is the leading Indian savoury snack brand in the UK with products eaten by over 1.5 million consumers per week in the UK alone. Offering over 200 different items, their products range from traditional ethnic snacks, flavoured potato, quinoa, hummus and lentil chips to all natural cereal bars. Currently considered to be one of the leading producers of fruit-based and sauce products for the food industry in Chile, and a leading exporter of frozen fruit to the retail industry with over 70 years of experience. Ditzler combines tradition with innovation, aiming at high quality products in an appropriate and efficient fashion, taking into consideration the specification of our clients. Danesita offers consumers a new twist to the bakery section with fresh, modern and innovative adaptations of Swiss rolls, brownies, biscuits and toasts. With more than 30 years of experience, Danesita know how to meet and direct every business need. With unique packaging opportunities and varied product sizes, Danesita offers the perfect treat for all exciting occasions. Seerys Bakery operates as the largest producer of Christmas puddings in Ireland, with both branded and private label possibilities. From its humble traditional beginnings in 1989, Seerys now offers an extensive range of puddings and cakes for every time of the year. Picked ripe from Southern Italy’s protected agriculture regions, Divino gelato has each fruit’s pulp scooped out and turned into a fresh gelato or sorbet – depending on flavour – in the Amalfi Coast. This gelato is then hand placed back into the two halves of the original, edible skin of the fruit. Simply separate your all natural Italian treat and enjoy. The Biscottea Baking Company is focused on the development of creating and marketing innovative, contemporary baked goods which reflect the enormous growth in the market for specialised, healthier biscuits and cookies. 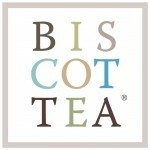 Biscottea® and Bis*coffee® Brand shortbreads are baked with unique tea and coffee infusions and enjoyed in over 20 countries in retail, foodservice, gift and airline catering formats. Founded in 1982, Carolina Fine Snacks is one of the USA’s leading authorities of high tech snack food manufacturing with respect to nutritional process, composition and packaging. Carolina sell over 100 nutritionally profiled foods internationally. Introducing the new Pastino’s snacks, offering four great flavours of pasta snacks ready-to-eat at any time of day. This innovative new range is an exceptionally delicious addition to the market space, capturing both the minds and hearts of consumers. Every bite will leave you wanting more. Continental Brands is an independent family business, founded in Johannesburg in 1990, that has built strong brands and a modern factory with reliable distribution networks. Manufacturing, selling and distributing a range of sweet, savoury and wafer biscuits, exporting globally. Recognised as the main supplier in South Africa of house brand biscuits to major retailers. Based in the UK, Baketime Limited uses state-of-the-art biscuit and baked snack production facilities to craft their extensive product range. These snacks are ‘baked not fried’, lower in fat, lower in sugar and lower in salt. Making them the perfect healthy biscuit for all consumers! Nata Pura is the only provider of Portuguese tarts (Natas) that ensures fresh ingredients and remains faithful to the original recipe. 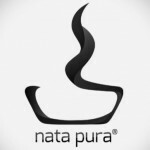 The Nata Pura features free range eggs and fresh milk as well as real cane sugar, while shunning added colourants and preservatives. Their frozen to oven solution plays along with Natas strengths, allowing them to be served warm, fresh out of the oven or at room temperature, according to the customers preference. Seabrook prides themselves in making the original and tastiest crisps with a good, honest and simple approach. Using the finest and freshest potatoes, sliced, crinkled and lightly cooked in sunflower oil for the perfect crunch. Imperial is the largest and leading domestic chocolate manufacturer in Portugal, holding a prominent market position with room to expand globally. Though our consistent technological advancements, we offer new and improved chocolate concepts including sugar free, Kosher and Halal options. Originated in 1964, Venus Growers distributes top quality fresh and processed fruits and vegetables internationally. In 1968 the Agricultural Cooperative of Veria was formed under the name “VENUS” constituted of 800 members. Founded in 2004, Kriton Artos was the first company to produce Cretan bakes under the label of a well known supermarket chain. Offering high quality, high production capacity and competitive prices, it is trusted by supermarket chains all over the world. Specialising in Turkish delight from completely natural ingredients and confectionery products of only the highest quality. Truede creates products from authentic and traditional recipes that never compromise taste. Our aim is to provide fine quality confectionery to health conscious consumers worldwide. Above and beyond quality, the signature of Hesco Solution is authentic delicious flavours that are easy to prepare and perfect for today’s busy lifestyle that demands convenient solutions for healthful and delicious meals. Offering a large range of ready-to-eat meals, sauces and pastes as well as rice options, Hesco is the ideal solution for you.